For UK Authors With an Interest in Getting Their Books into Bricks and Mortar Stores. I’ve been looking into getting my books into Waterstones and hit a dead end because I don’t use the right book distributor. Stevie’s post explains everything you need to do and will be very helpful to me when I’m ready to take the next step. via For UK Authors With an Interest in Getting Their Books into Bricks and Mortar Stores. Yesterday I was lucky enough to be interviewed on Lynn’s Books. Lynn was the judge tasked with reading The Lost Sentinel for SPFBO this year. Though The Lost Sentinel didn’t make the cut, she had some great things to say in her wrap up post and it was a pleasure to be interviewed by her. Please head over to read it now. Today I’ve taken a break from writing to share my indie author interview over on Booksbyilcruz. Please stop by and check out this new feature. 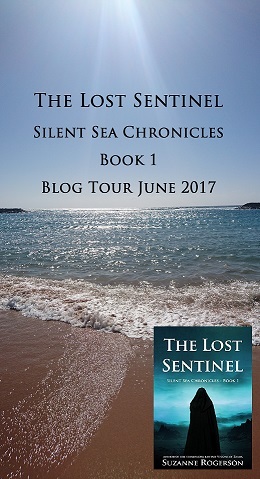 Today I’m really excited to share a brilliant 4 star review of The Sentinel’s Reign, book 2 in my Silent Sea Chronicles trilogy. Please take a few minutes to read the review, and the review of Summer of Salt, which also sounds like a great read.